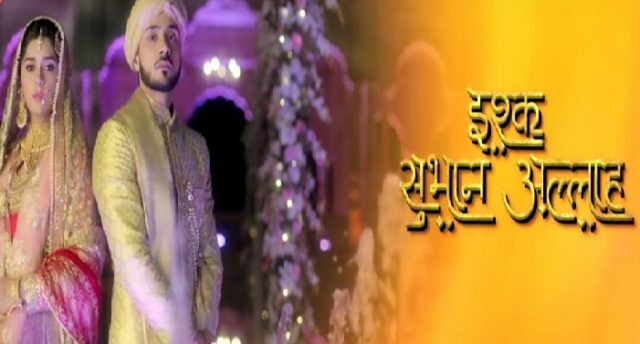 Ishq Subhan Allah is an Indian television series, which airs on Zee Tv. The show is produced by Zuby Kochchar and Dheeraj Kumar. It stars EIsh Singh and Adnam Khan. The show Ishq Subhan Allah also marks the comeback of Eisha Singh. The serial Ishq Subhan Allah gave high-voltage drama to there viewers. The serial is all about the love story and struggle of the life of Zara and Kabir. Ishq Subhan Allah today’s episode is all about Ruksaar tries to kill Zara. Ishq Subhan Allah written episode update 18th January 2019, begins with Kabir comes to meet with Zara and brings her favourite sweets. The former tells Irfan and Salma that Zara both made him realize his duties. Zara tries to eat the sweets, but Kabir did not eat it he denies them to her. Irfan tells Kabir that the priest went to attend the conference and he need not worry about it. Salman tells Zara that Kabir told her to believe to be ill so that she said with them when he attends the conference. Zeenat keeps the dangers Scorpio on Ruksaar’s hand and asks her not to be scared to say this. She even tells Ruksaar to take his revenge from Zara. Zeenat puts the dangerous Scorpio in Ruksaar’s toy bag and they leave for the hospital. The doctor informs Kabir that Zara has a severe infection. Zara tells Kabir that Zeenat makes her drink water. Zeenat and Rukssar both reach the hospital. Meanwhile, Kabir gets ready for the work. Shahbaz calls the investors and asks for a loan but the investors deny and said that Kashan has already taken the money from them. Shahbaz gets shocked and decided to save his house at any cost by knowing all this Shahbaz gets sad. Kabir is about to leave for work but Shahbaz thinks he will have to make Kabir get money from the Sharia board.